Do you remember your home economics classes? Remember the cooking classes? How about the sewing classes? Did you like them? Well, I was good at the cooking classes, but those sewing classes were my least favorite ones, next to biology. There were a few “challenges” for me, such as never being able to stay on that magic 5/8th line, wrinkling the material around the needle, sewing the zipper in upside down or backwards. 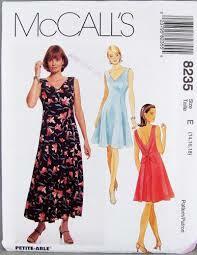 There was just no way that my garment would ever look like the one on the front of the pattern package! Just sayin’… I was “sewing-impaired”, to say the least and I was okay with that. My sewing classes showed me that I would never be a seamstress of any kind. Someone has to buy readymade clothes at the store, and that would be me! To this day! Let’s look at other types of patterns; patterns of behavior, language, relationships, driving, parenting, etc. Our patterns begin in our childhood by the way our parents raised us. Maybe there was a pattern of yelling, hitting, slamming doors, etc. Maybe there was a pattern of calm and affective communication. Which pattern did you live with? Have you broken that pattern or have you continued it in your own family? Patterns of traditions such as going to church, having turkey for Thanksgiving, searching for Easter eggs, doing your taxes at the last minute, etc. are also ones you have either broken or carried on. No matter what your patterns were, you have the opportunity to decide what is a healthy pattern and what is not. You can decide to break a pattern or continue it on for another generation. Your parents may not have been interested in the Lord or having a close relationship with Him, but you can have that and enjoy life as His child. You can experience His joy and strength and make that your pattern for life. The pattern of this world is distorted, dark and without God, but we can all turn our back on that pattern and make God’s pattern for life our own. Beginning today, let’s throw away the old McCalls, Simplicity, or Butterick patterns of our past and pick up God’s pattern for life. If we follow His guidance, our life WILL look like the picture on the front of the package.